The Firm is represented by Carl Giordano and Joseph Carvalko, who is Of Counsel to the Firm. I am registered to practice before the U.S. Patent and Trademark Office and admitted to practice in New York, New Jersey and Connecticut. The focus of my practice is to advise individuals and technology companies with regard to preparation of patents and managing their portfolios. Prior to forming the firm, I was Assistant General Counsel of System Management ARTS (SMARTS) in White Plains, NY, where I prepared and prosecuted patents in the network management and diagnostic field and software licensing. At SMARTS, I developed and management a patent portfolio that reduced the cost of patent portfolio development by reviewing and managing outside counsel costs. I also advised senior management with regard to Intellectual Property portfolio development and management for various business units-Patents for engineering, Trademarks for marketing and Copyrights for documentation. SMARTS was subsequently acquired by EMC Corporation, where I was Patent Counsel involved in patent preparation, prosecution in the field of data storage, data storage network management and data storage network diagnostics. In addition, I was involved in software licensing. Prior to my in-house experience, I was Special Counsel practicing in the area of IP protection at firms in New York City and New Jersey where I prepared patent applications in the field of LCD displays, telecommunication, lasers, the Internet and Business technologies. I have been involved in patent litigation where I performed patent analysis and evaluation resulting in favorable decisions for the client. Before practicing law, I was involved in the development of an Optical Cross-Connect switch that is used in optical communication in the national telephone grid. I was involved in the development of a software controlled radio system used by the US Army. I was also a Computer System specialist at Loral Electronic System in Yonkers where I developed airborne electronic equipment used in signal detection, processing and suppression. I was involved in the successful deployment of the equipment that is still in use today. I have developed systems in the field of Optics, Radio, Electronic Warfare, Navigation (GPS) and Satellite Communication (TDMA, Spread Spectrum). I am a Graduate of Pace University School of Law and hold a Bachelor of Engineering (Electrical) degree and a Master of Engineering (Electrical) degree from The City College of New York. Mr. Carvalko is admitted to practice in New York, Connecticut, and before the US Patent and Trademark Office. 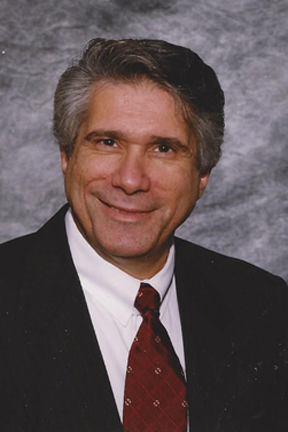 Mr. Carvalko has represented hundreds inventors and technology firms for over 30 years, and prior to law was an engineer engaged in computer, business machine and biomedical start-up development. He has held previous positions as partner in Duane Morris (NYC), top patent lawyer for Gateway Computer and Hartford Financial Services, General Counsel, VP, Secretary and board member at Farrel a publically held, international technology manufacturing company and senior partner in Dice, Maloney and Carvalko. Currently Mr. Carvalko is an Adjunct Professor of Law at Quinnipiac University, School of Law, teaching Law, Science and Technology, a member of the Yale School of Medicine Community Bioethics Forum, and a member of the Yale Technology and Ethics working group, member of the ABA and the IEEE. He is an inventor (holding 10 patents, some jointly), and author of 5 books (latest, The Science and Technology Guidebook for Lawyers, ABA Publications, May 2014). Mr. Carvalko has a JD law, MFA writing, and BS electrical engineering. His current clients include: start-up tele-medical companies, financial services, computer companies and manufacturing companies. Mr. Carvalko is a member of the ABA and the IEEE. I welcome the opportunity to speak with you about how we can best work together. Call me on 845-268-1806 or visit my contact page.